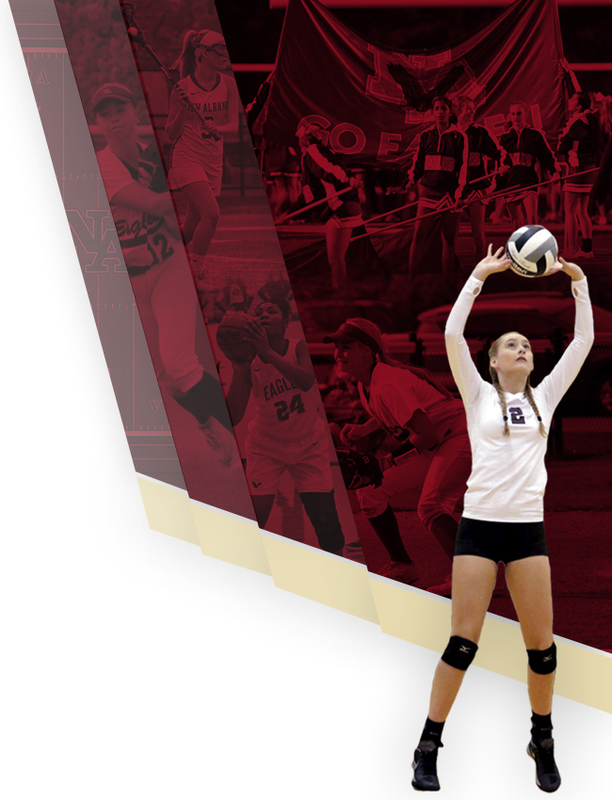 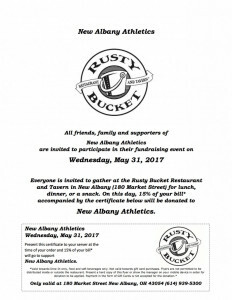 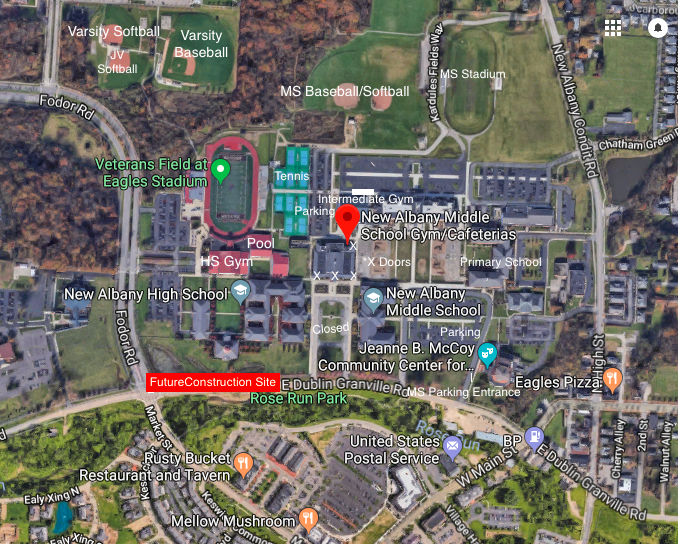 The NA Athletics Department will be hosting a fundraiser night at the New Albany Rusty Bucket (180 Market Street) on Wednesday, May 31st. 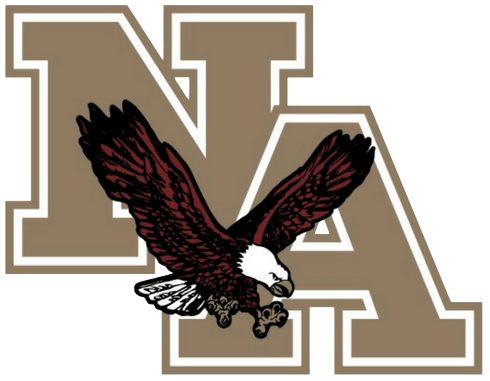 Come in to the New Albany Rusty Bucket and enjoy a meal while 15% of your bill (with this flyer: NA Athletics Rusty Bucket) will be donated to the NA Athletics Department. 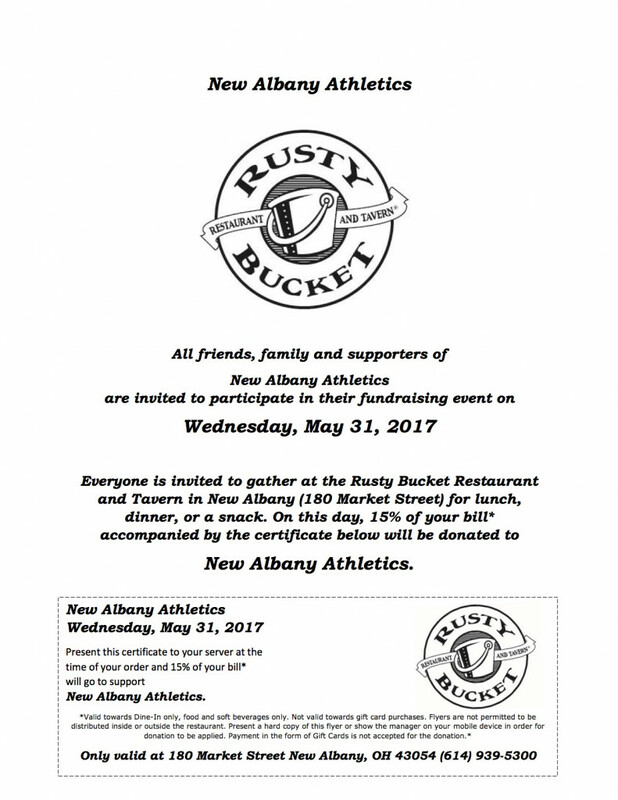 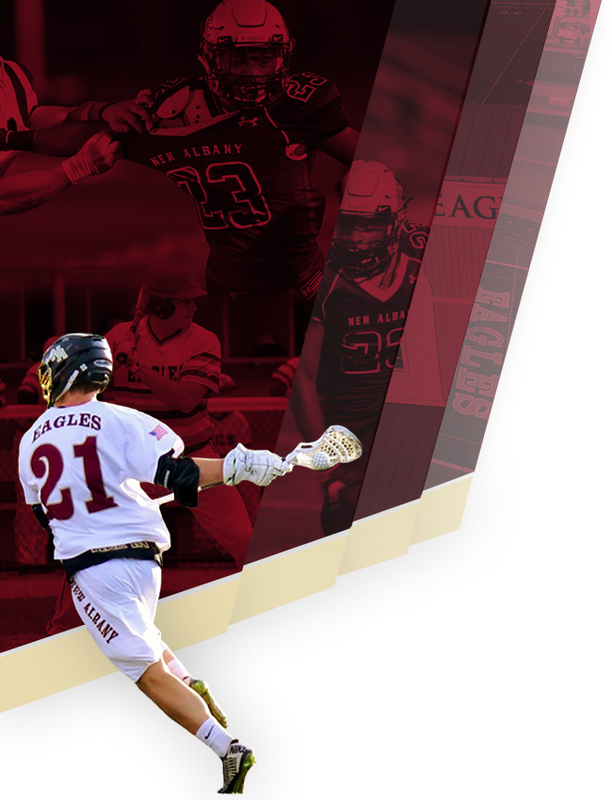 We look forward to seeing everyone at the New Albany Rusty Bucket on May 31st!